It’s half term here, so we are out and about. 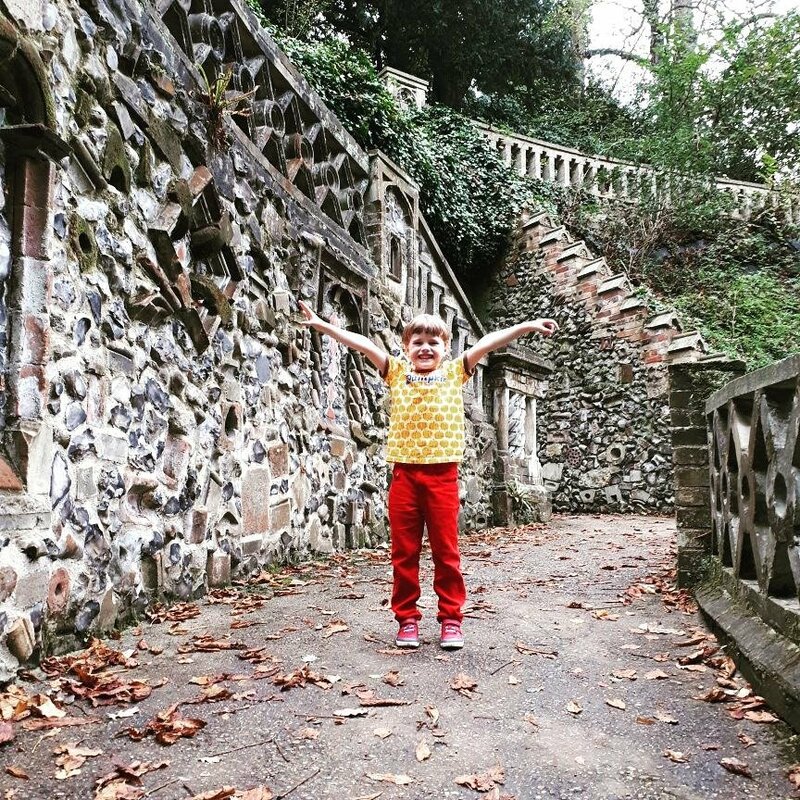 When we moved to Norfolk four year ago, We made a vow to get to know our city. We had made some progress, we know where the Forum is, the shops and most importantly where to stop for coffee. So over the next year we are on a mission to visit more places in Norwich. So we have a list of prompts to help decide where to go, click the link to see the full list. First up a garden; I found out about The Plantation Gardens (or The Secret Garden by locals), when they were threatened with closure. 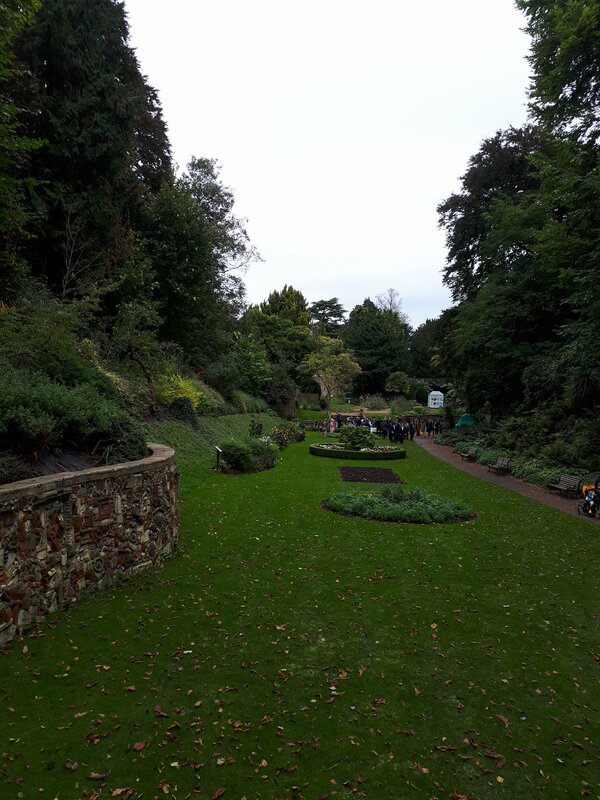 They really are a gem, hidden away behind the Catholic Cathedral, down a slope and the on the left hand side through ornate gates and you discover a grade II listed garden. Looked after by volunteers, they only ask for a contribution to their honesty box, £2 for adults, kids are free. The honesty box is an old post office box as you walk in, need the plant stall. I think you can join for a very reasonable £12 to help fund the garden. Our visit was preceded by T, our 5 year old walking along the street, crying. So dramatic bless him. More tired then anything and full of pizza. He soon changed his mind when he got there. 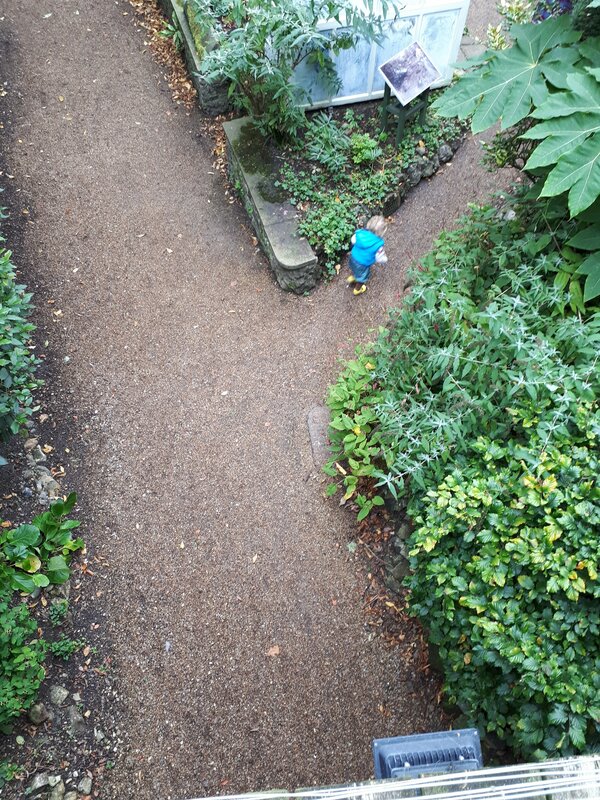 T loves adventures and I knew a tucked away garden with secret paths and stairs to climb would be something he would love. 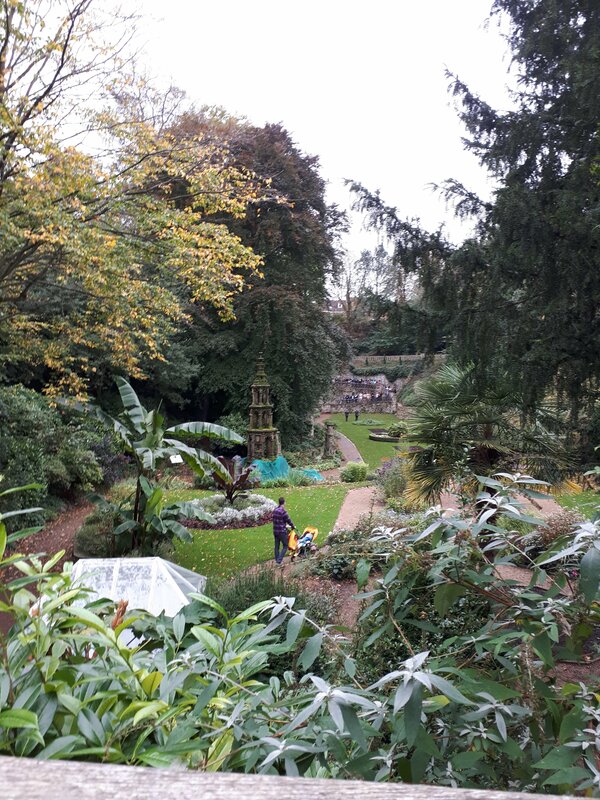 Our visit was in October, so the Summer splendid planting was replaced by hard work by the volunteers, protecting the gardens for the Winter months. 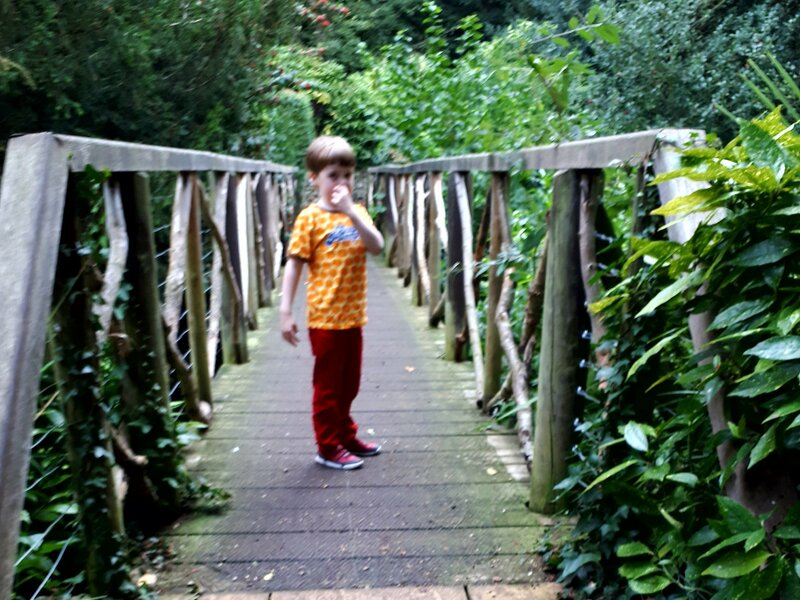 There was still lots to explore, the trails and sloping paths around the sides of tbe gardens were great for T as he felt he was pretty high up without risk of slipping or falling. There was a wedding party having their pictures taken on the end stairs so we waiting till they were finished before climbing the steps to the top. You can use the side paths too. For a windy, slightly damp October afternoon it was a very pleasant diversion. 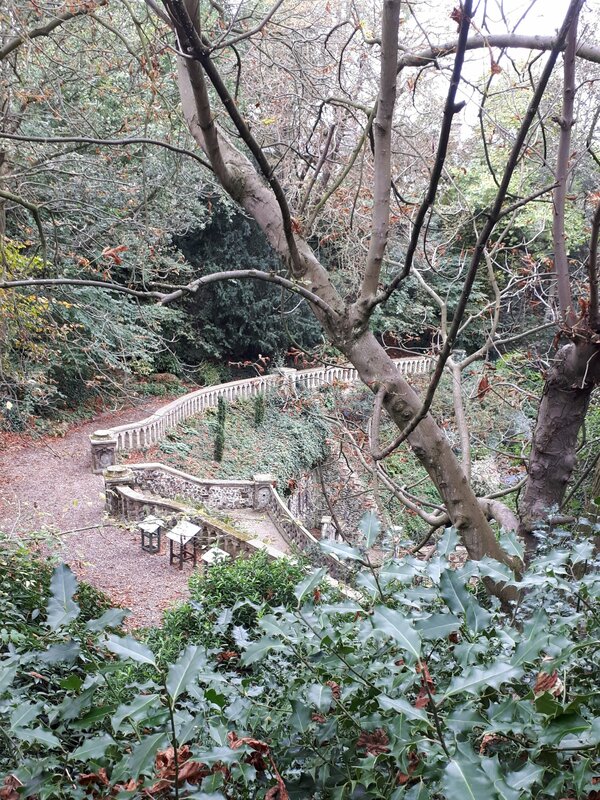 There are lots of steps but buggies and people in wheelchairs can access the upper levels by a slope at the end of the garden on the left hand side. They are pretty steep though. I got bored of waiting for pictures to finish so carried G up in her buggy as she was sleeping.